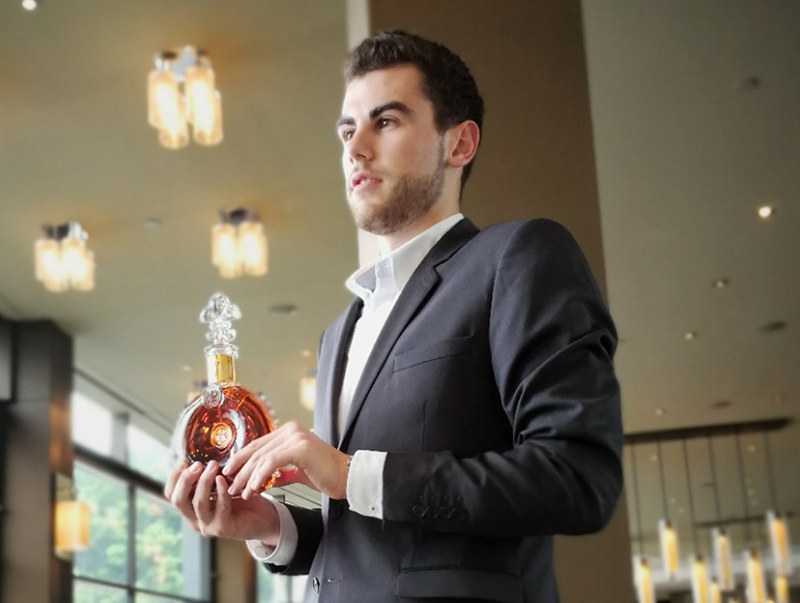 Julien Zehnacker, a 24 years old Frenchman born and raised in Cognac, France recently joined the Spirits Platform team as LOUIS XIII Brand Ambassador for Australia. Julien’s adventurous spirit has brought him on the other side of the world to share his passion about – cognac. Few people know it, but cognac is actually a protected name and there is only one small area in the whole world where you can produce cognac, as is the case with Champagne. Cognac is a small town of 20,000 in the north of Bordeaux, surrounded by vineyards. Julien explains “When you are born in such a small town with a great product it is inevitable you will develop a love for the product.” On top of that, Julien’s relatives owned a vineyard and as a young boy he worked in vineyards to earn some pocket-money, so he has a close connection to cognac his whole life. His interest in Cognac developed when he started working for local cognac companies at the age of 15. He was introduced to cognac tasting by a renowned Cellar Master and that was the beginning of his love story with cognac. During his Business School studies, he lived in China to learn about Chinese economy and culture. Whilst there, Cognac was ever-present as he spent many evenings enjoying cognac with his new-found Chinese friends who he discovered really enjoyed the drink. He later worked for Remy Cointreau in Paris as Brand Manager for Rémy Martin and this was a big personal achievement for him as one of his goals was to work for this iconic house. So when the opportunity to work in Australia for LOUIS XIII Cognac was presented, the decision naturally was to accept. His describes “It was the King of Cognacs who summoned me to follow my call of duty. I want to share the values, taste and experience of the most sophisticated spirit in the world.” he explains. In each bottle of LOUIS XIII Cognac is a century-old cognac. It is a blend of more than 1200 eaux-de-vie from the Grande Champagne Cognac region which is the best crus in the vineyards. The cognac is a lifetime achievement of generations of Cellar Masters. These Cellar Masters are unique individuals, true visionaries, thinking a century ahead. They are already predicting what people will be consuming in a 100 years’ time. The cellar masters of 100 years ago had the vision to select the best eaux-de-vie to create a unique cognac for the coming generations to enjoy. LOUIS XIII cognac was first released in 1874 and since day one has remained the ultimate luxury spirit in the world. Initially, it was made for all the Kings, Queens, Tsars and dignitaries of the 19th and 20th centuries. Today it rests on the tables of contemporary celebrities and successful business people. The secret to keeping LOUIS XIII at the top of its game is the fact that it’s still a family business – they have a vision and they stick to it. It’s all about heritage, savoir-faire and transmission. And it’s about being daring, innovative and visionary. These values are what has kept LOUIS XIII relevant for so many generations and will continue to do so for countless generations to come. As the only luxury Cognac for a long time, it enjoyed decades of being known as the King of spirits and the spirit of Kings. LOUIS XIII is bottled in a historic crystal decanter which was adapted from a royal flask lost on the battlefield of Jarnac in 1569. 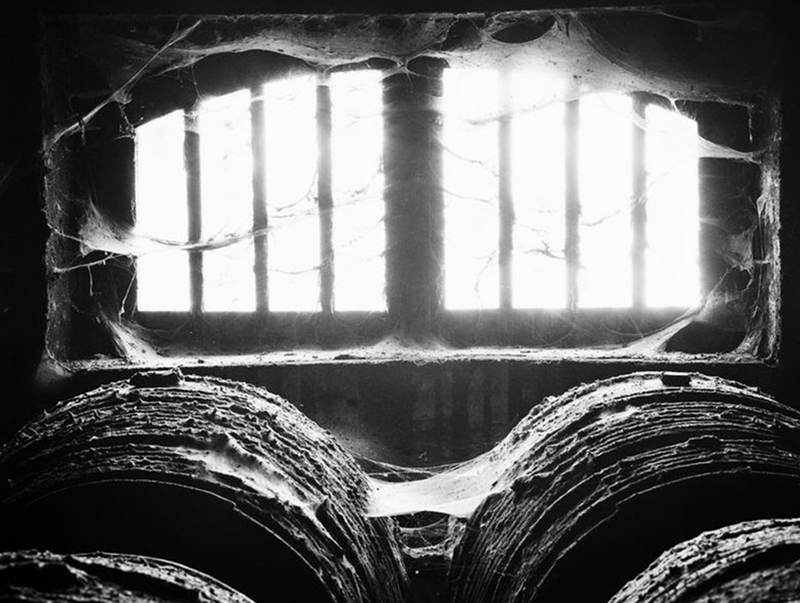 Essentially it was discovered 100’s of years later in the middle of the vineyard which was once a historic battlefield. Each decanter of LOUIS XIII is made from fine crystal, mouth-blown by some of the most skilled master craftsmen. LOUIS XIII features exceptional aromas evoking myrrh, honey, dried roses, plum, honeysuckle, cigar box, leather, figs and passion fruit. For Julien, there is only one word that describes LOUIS XIII Cognac – Time. “LOUIS XIII is the fragrance of time. Time is the only thing you can’t buy – unless it’s in this bottle”, he explains. LOUIS XIII is a spirit that stops time or makes time irrelevant. When you drink it slowly, you take the time to enjoy it and when you do you, you receive the full benefit of the complex flavours encapsulated in every mouthful. Julien believes the challenge will be for people to appreciate its complexity and at the same time its simplicity. “Sharing the values and heritage of the ‘King of Spirits’ and to ensure that our clients find the ‘Spirits of Kings’ in the finest places across Australia is one of my main goals” states Julien. LOUIS XIII also have close relationships with their clients— and they place them at the heart of everything they do. Sharing this drink is truly a special and unique moment for those in your company. It often defines the fine moments of your life. Special occasions like marriage proposals, special anniversaries and milestone birthdays are made extra special when celebrated with a LOUIS XIII Cognac. Julien realizes the potential and opportunity for LOUIS XIII in Australia with its highly developed fine dining culture and its location as an international destination for high-flyer travellers. “The foundations for success are solid for LOUIS XIII Cognac in Australia,” explains Julien. Australia has so many high-quality restaurants, so it makes sense for the best venues to offer the best cognac to further enhance patrons’ fine dining experience. In fact, fine dining and LOUIS XIII complement each other. One outstanding pairing experience is to enjoy this exquisite cognac with Beluga caviar. As LOUIS XIII only feature the best eaux-de-vies, only the best restaurants feature LOUIS XIII. 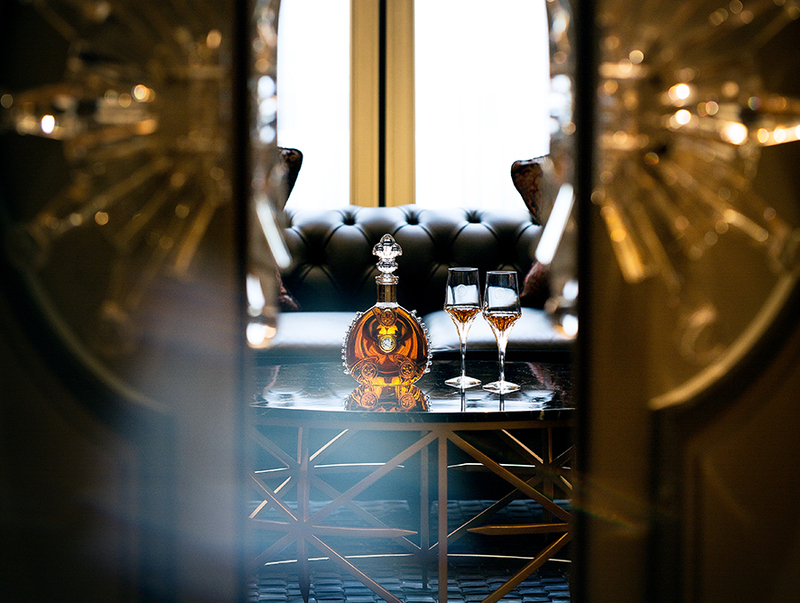 International travellers are delighted when they find LOUIS XIII in the best places all around the world. When international high-flyers visit Australia, they are delighted to find their favourite cognac in their favourite tables here and all around the world. Places like The Cut in London, The Paris Ritz, and here in Australia, The Black Restaurant at the Star City Casino to name a few. So, if you get an opportunity to taste or buy LOUIS XIII Cognac, take it! Learn more about LOUIS XIII. Follow LOUIS XIII on Facebook and Instagram.